Calendar: synchronize the schedule. Languages: English, French, Spanish, Polish, Portuguese, Korean. You can use this smart watch independently without use your phone. With a rectangular screen, it has a sleek modern watch design as well as a clear display. 1 x GT08 Watch. Bluetooth Ver 3.0. Sleep monitoring Sleep monitoring. 30W UV ELECTRIC FLY KILLER BUG ZAPPER GRID KILLING FLY INSECT WASP PEST TRAP UKBuy Now. 1 X DZ09 SMART WATCH. 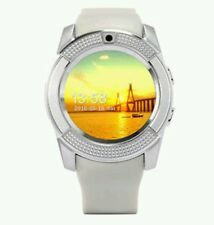 Model No Smart Watch DZ09. Bluetooth dialer, call reminder, Bluetooth phone. sleep monitoring, sedentary reminder. IOS only supports: Calendar, Calls,Clock,Stopwatch. Bluetooth V3.0. GSM 850/900/1800/1900 MHz, single sim card. Sim Card Single SIM Card. Bluetooth dialer, call reminder, Bluetooth phone. OTHER COLOURS AVAILABLE. sleep monitoring, sedentary reminder. Bluetooth V3.0. 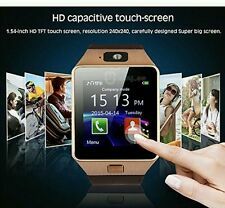 1 X DZ09 SMART WATCH. (Calendar: synchronize the schedule. Languages: English, French, Spanish, Polish, Portuguese, Korean. You can use this smart watch independently without use your phone. Other functions are unavailable now for iPhone). Bluetooth dialer, call reminder, Bluetooth phone. OTHER COLOURS AVAILABLE. sleep monitoring, sedentary reminder. 1 X DZ09 SMART WATCH. IOS only supports: Calendar, Calls,Clock,Stopwatch. Bluetooth V3.0. Both of screwdriver are also suitable for repairing iPhone SE / 7 / 7 Plus /6s / 6s Plus / 6 / 6 Plus / 5S / 5 / 4S / 4 / 3G / iPod. The LP kit is also as a delicate and decent gift to give your friends, families and other people in mas or other important festivals. Calendar: synchronize the schedule. Languages: English, French, Spanish, Polish, Portuguese, Korean. You can use this smart watch independently without use your phone. Brightness feel better indoor&outdoor than common process. WI-FI & 2G / 3G network: GSM 850 / 900 / 1800 / 1900; WCDMA 850/2100. BT Version: BLE 4.0. Android 5.1 OS, MTK6580, BLE4.0, 1.3GHZ Quad-core Processor, RAM 2GB ROM 16GB. Network: GSM 850 / 900 / 1800 / 1900; WCDMA 850/2100. Calendar: synchronize the schedule. Languages: English, French, Spanish, Polish, Portuguese, Korean. You can use this smart watch independently without use your phone. You will receive 3 smart watches. Calendar: synchronize the schedule. Languages: English, French, Spanish, Polish, Portuguese, Korean. You can use this smart watch independently without use your phone. You will receive 4 smart watches. Compatible with both android and iPhone IOS. This watch is beautifully designed with the capability to pair with a smart phone, it allows you to sync the phonebook from your smart phone. The watch provides a comfortable fit the smartwatch uses bluetooth technology. Unlocked for Worldwide use. This smartwatch can make/receive phone calls with its own SIM card. FULLY BOXED WITH CHARGING CABLE AND ADAPTER FOR YOUR COUNTRY. THERE IS BLACK COLOR STRAP MODEL WATCH FOR SALE!